Is the domestic violence all my fault? There are no excuses – the abuser is always responsible. The abuser always has a choice to use violence. They can choose to behave without violence. They can choose not to intimidate. They can build a relationship built on trust, honesty, fairness and respect – if they want to. The victim is never responsible for the abuser’s behaviour. 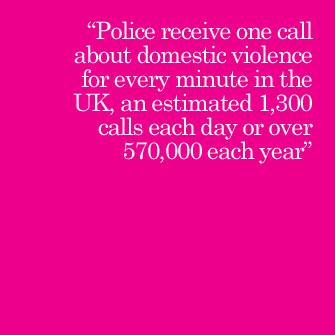 ‘Blaming the victim’ for domestic violence is something that abusers often do to make excuses for their behaviour. This is part of the pattern of abuse. Sometimes abusers convince their victims that they are to blame for the abuser’s behaviour – it’s part of controlling the victim. Blaming his behaviour on someone or something else – the relationship, his childhood, ill health, alcohol or drug addiction – is an abuser’s way of avoiding responsibility for his behaviour. But the fact is abuses have a choice – nobody ‘made them’ do anything. Children, like adult victims, will often feel responsible for the violence and it is important to let them know that abuse, bullying and violence is not their fault.